The control of rain water on buildings is key to ensuring your building is water tight, and a well thought out system must have capacity to get water off the roof quickly and away from the building. For some applications, you may need us to design a bespoke folded metal gutter and for others, we can supply a comprehensive range of PVC rain water goods in 150mm and 110mm half round. 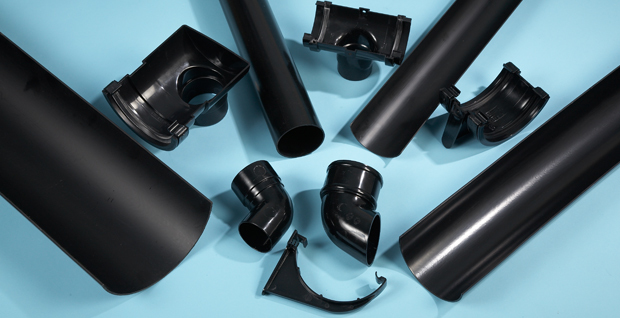 We carry stocks of the whole range of these PVC systems in black and grey, with all accessories including stop ends, running outlets, downpipes and brackets that you will need. We can help calculate your size and specification you require for your project.